I've been using 30L Sankey Kegs from Crusader for a while (bought before the started using BrewUK to distribute) but I have wanted a small portable setup so when Rob said at the festival that he was going to start stocking 10L Sankeys (and 20L) it piqued my interest. As soon as they came in I ordered one, along with the kit to use as a portable keg. On arrival it had the spear fitted and was under a little pressure, not much, and there is no safety which for me is a bonus as I cut it off my others. Initial impressions are that the quality is as good as my other kegs but I'll report back when I've used it. How long does yor beer last if stored in a keg under pressure? I'm considered buying some kegs but I don't want to have to drink a 30L batch in a couple of weeks. look good them. keep us updated how you get on with it. HTH1975 wrote: How long does yor beer last if stored in a keg under pressure? I'm considered buying some kegs but I don't want to have to drink a 30L batch in a couple of weeks. It does degrade while drinking so I am moving towards bottling a proportion from keg. how do you mean degrade and how do you keg? mine never degrade while drinking any more than the same beer in a bottle might go stale over a period of time, and it's not a complaint i read often about kegs. cheers for the heads up on the kegs, was starting to think they weren't coming!! Generally hop flavours subside and it starts to sour a little, I find. I'm no keg expert jeltz but slow souring sounds like an infection. I've had the same happen to my bottles. Well everything has had a thorough going over with line cleaner so it "should" be clean. However I'm thinking of swapping over to a different tap and see if that makes a difference. losing hop flavour may suggest oxidation, or coupled with sourness, infection. 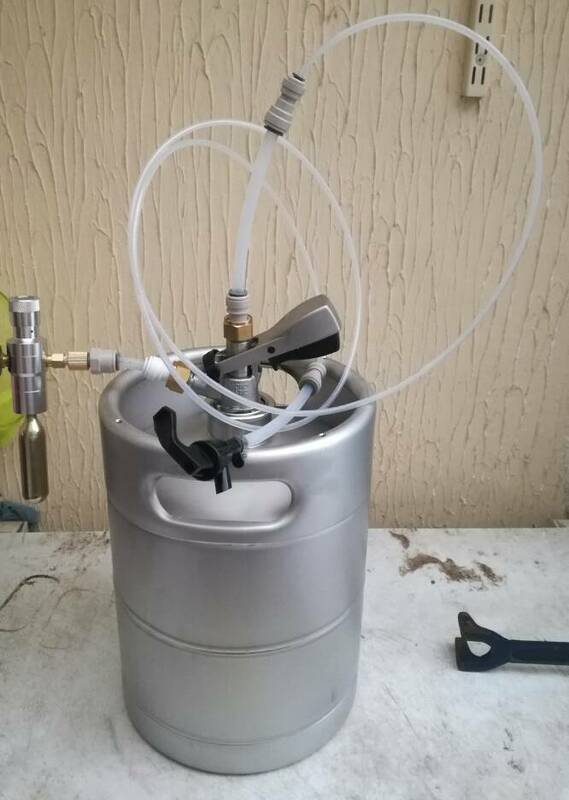 do you purge the keg with co2 when filling? checking taps and stuff is a good idea i'd think. I clean keg with an oxy cleaner, then a kettle of boiling water then videne then purge with CO2 before filling. I use a flow through tap on a pegas bottle filler which may be a source of bacterial infection so I'll swap that out and put a different tap on then keep that solely for bottling. But it takes me 6 weeks to drink and the degrading is slow. It could be an infection before you keg.